Strahl polycarbonate glassware is proudly designed in New Zealand over 25 years ago it offers the perfect balance between weight, clarity, elegance and durability. With a vast range and attention to quality Strahl has become the choice of some of the world�s most prestigious hotels, resorts, cruise lines and homes. 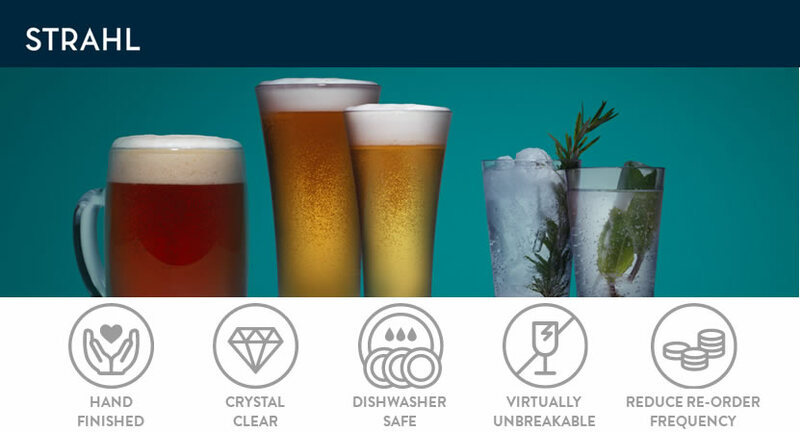 Made from premium quality polycarbonate and hand finished under the strictest ISO conditions, Strahl continues to lead the world in premium polycarbonate drink and serveware solutions. Strahl�s unwavering commitment to innovation continues to produce exciting solutions and fresh ideas that delight even the most discerning customer, making every occasion exceptional.